After the exhilarating day out/safari, you can be assured of a friendly welcome “home” away from home, to the comfort of the lodge/camp; your luxurious bed; a hot steaming shower; and an evening spent across the polished mahogany dining table or by the fragrant wood fire places; recounting your day’s stories and adventures while being attended to by our friendly and efficient staff. We’re here for your special celebrations/Holidays.. Whether it’s for your retreat, small gathering, “big chill” reunion, vacation or just getting away from it all, our property provides the unique setting for all. You won’t find street lights here to diffuse the darkness of the night sky and your star gazing. 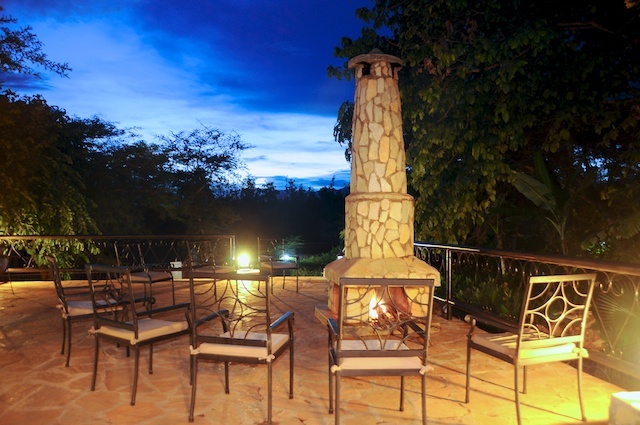 The night unfolds like magic as you watch the fire dance and listen to stories around the fire. Special requests will be catered for if advance notice is given, the cost of such special service or all the services mentioned above will be advised at the time of the booking. We are open throughout the year.